Comprised of audio and video enthusiasts with well over 100 years of combined experience, Tucker & Tucker specializes in whole house audio/video systems, personal home theaters & more. Custom Home Theater Systems & Automation (CHT) is a nationally recognized source for high-end audio equipment, home theater design and installation, whole-house audio, and home automation. Whether you’re looking to build a killer sound system or create a dedicated screening room, you can trust our award-winning team to enhance the quality of your home and exceed your expectations. 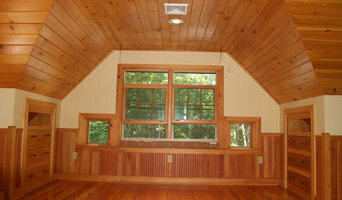 We are one of the county's leading residential audio, video, and integration companies based in Maine. We are one of the only few to have won 5 top national awards. Our staff are down-to-earth people, who are passionate, knowledgeable and experienced in bringing dreams to life. Home Theatre and security installers. If you need our services we suggest a call or text. We do not always check all the various home improvement websites, and get 1,000s of emails a day also. So email is ok, but we do suggest a text or call to let us know you have reached out. We install SONOS, whole house audio, surroundsound, projectors, and anything realted to home theater or security. Comprised of audio and video enthusiasts with well over 100 years of combined experience, Tucker & Tucker specializes in whole house audio/video systems, personal home theaters, networking, IP-based camera systems, lighting and shade control. From installing a flat panel TV, programming a universal remote control, to designing, installing and programming a complete Smart Home, you can depend on Tucker & Tucker to help you to get the most enjoyment out of your home entertainment dollar. For a free in-home consultation or an appointment at our Scarborough, ME, Design Center, feel free to contact us today. 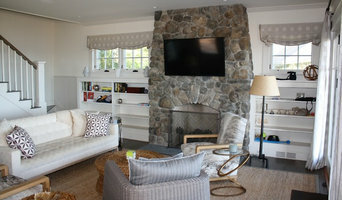 Dedicated custom home theater in Kennebunkport Maine. New England Hi-Fi has been Maine's leading audio video dealer in sales and service since 1965. With over 45 years experience as audio specialists, we know how to help you find what you're looking for. If you're looking for great audio equipment at a competitive price, talk to the experts - come to New England Hi-Fi. As a source for audio-visual equipment and services, only one company goes above and beyond: Headlight Audio Visual. From pre-event consultation to live show management and everything in between, you can count on Headlight to help make you shine. Whether you’re in Topsham or Tokyo, from concept to completion, we’ll partner with you to create the extraordinary. We specialize in audio-visual equipment rentals, live event support and permanent audio-visual installations. Residential & Commercial AV Design & Installations. Since we opened our doors in 1987, The Sound Resort has been the RIGHT choice for all your home and car entertainment here in Mount Washington Valley. From full-house entertainment systems and installations, to car audio installations, we are the leading supplier of these fine quality products and installations in a timely manner. And at a reasonable price as well! With a total of over 85 years of cumulative experience in all phases of audio, video, home theater and car stereo, our team is NUMBER ONE when it comes to customer service. We'll help you make the right decision and as always, our advice is FREE! Give us a call at 356-5095 or stop by and visit. We're conveniently located at the corner of Route 16 and 302, just south of downtown North Conway and across from Shaw's Supermarket. We're open Monday-Saturday: 9:30-6:00, closed on Sunday. Visit The Sound Resort NOW and experience a SOUND DECISION... It's one decision you absolutely won't regret! If you're the kind of person who loves hosting parties where guests watch the Oscars, the Super Bowl, or the latest sitcom, putting the time and effort into creating a cozy media room or theater in your Portland, ME home could be a good investment. But unless you're a wiring and surround-sound guru, figuring out the technical issues can get a little messy. That's where a home media designer comes in. Home media specialists not only can design the seating and decor for your dream home theater, but most of them can help you find specific media control options, conceal your television and various accessories, set up optimal seating, choose and install ideal lighting, and help create the ultimate viewing environment. Some of these Maine professionals work entirely on their own, while others work with subcontractors to get the job done. Here are some related professionals and vendors to complement the work of home automation & home media: General Contractors, Interior Designers & Decorators, Paint & Wall Covering Dealers, Furniture & Accessories, Specialty Contractors. Find a home media designer on Houzz. Narrow your search in the Professionals section of the website to Portland, ME home media designers. You can also look through Portland, ME photos by style to find a room you like, then contact the professional who designed it.